When I lived in the sorority house, our amazing chef Shea made the most moist and delicious chocolate zucchini bread. It was everyone’s favorite, and was definitely the dish I miss the most. Shea just had her first child, so I thought no better way to celebrate then by finally making my own chocolate zucchini bread! Shea gave me her recipe, but unfortunately I couldn’t get all the ingredients in Buenos Aires. 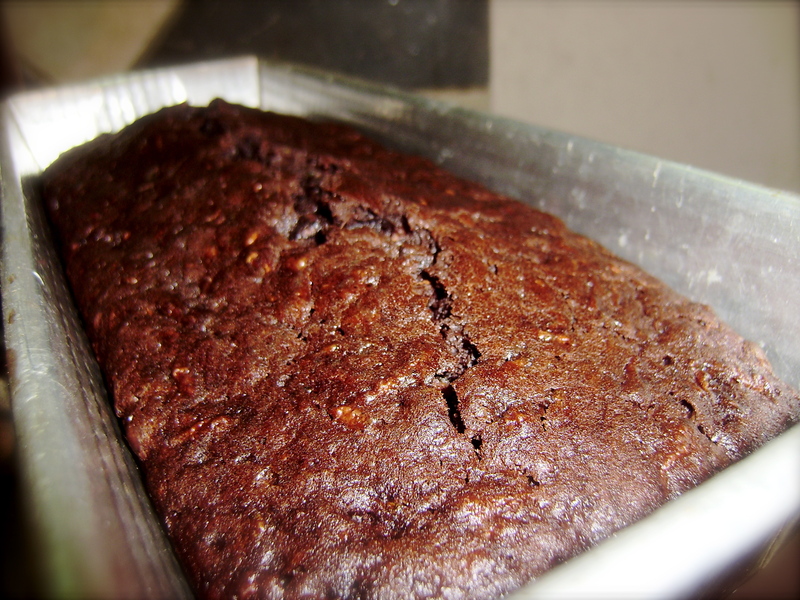 So here is the South American Nesquik Zucchini Bread Recipe. In a bowl, combine all dry ingredients except for sugar and mix thoroughly. In a different bowl, beat eggs with a whisk. They add the sugar and oil and continue whisking until nice and foamy. Add your eggs to the dry mixture and continue to whisk until there are no lumps. Then add the grated zucchini and the chocolate chips and stir. Bake at medium heat in a bread pan for an hour, or until a knife inserted in the middle comes out clean. Makes one large delicious loaf of moist, chocolaty bread that you almost don’t feel guilty about because it has a vegetable in it. Props to Shea for the best recipe ever and congrats on your new baby boy! The Unintentionally Patriotic Birthday Cake | .My.Beautiful.Air.